It's time for Screech's balls to drop. Do they come with a pair of goggles? Looks like this was the cost justification for old man Lerner to sign off on the champagne party, they purchased three cases (about one bottle per player) and they sell a few empties to cover the costs. But a bottle, some accountants job depends on it. Btw, if anyone has ticket stubs from July 8, vs the Rockies, let me know. I'm trying to get this all framed up for his going away present. I really wish that previous statement was a joke. When celebrities chewed gum is sold on e-bay. Nothing surprises me any more. Its today's society! It would be one thing if they actually could tell you which player used it or whatever, but from what the guys told me they just slapped the holograms on every bottle they found in the clubhouse. i wonder what the bottle of sparkling cider is selling for. 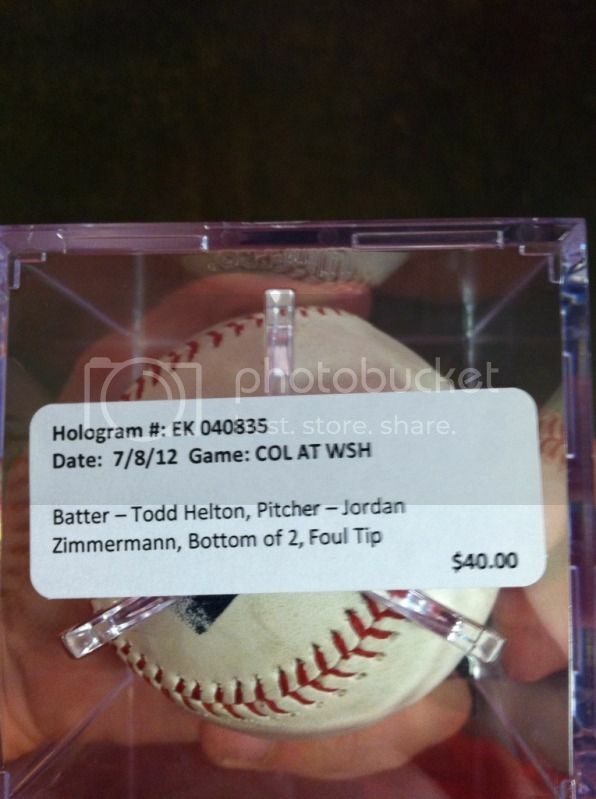 After I yank one of those holograms off a cork and slap it on a 7-11 cider bottle I'm starting the ebay auction at $700. Wow but I'm not the least bit shocked when it comes to the misers who own this team. They'll sell their soul for a buck. I wonder how long until the naming rights are sold to the park. Good question, wasn't there a recent article on this? The Nats went through 60 bottles of champagne and 480 cans of beer during Monday night’s clubhouse celebration, most of it used to shower players, coaches, owners and just about anyone in the general vicinity of the merriment. The champagne has been cleaned up, but one of the empty bottles can be yours for a cool $100. 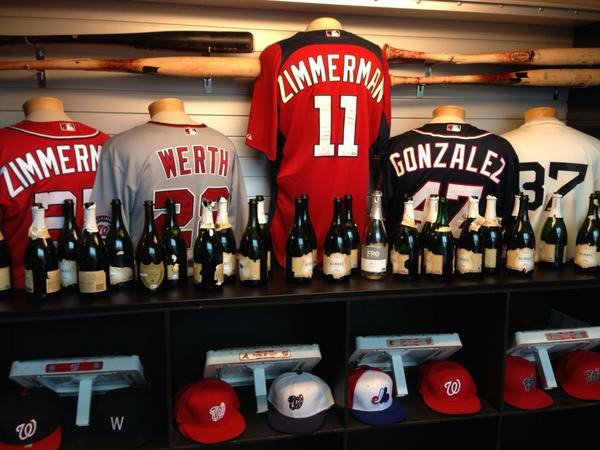 The team is selling the used bottles to benefit the Nats charity arm, the Dream Foundation. If your memorabilia collection has a Korbel-sized hole in it, you can stop by the booth behind Section 113 at Nats Stadium and pick one up. If a c-note is too rich for your blood, you can apparently buy a cork for $50. They’re not selling the beer cans, but if they haven’t taken the recycling in yet, you can probably dumpster dive for one of those for free. Wow but I'm not the least bit shocked when it comes to the misers who own this team. 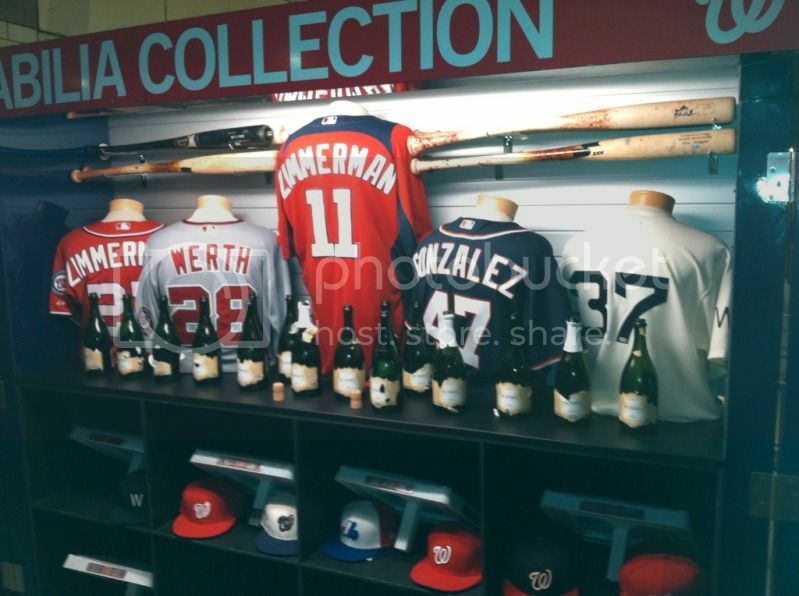 The team is selling the used bottles to benefit the Nats charity arm, the Dream Foundation. For some posters it's just about keeping up the persona. Can't really rip on Davey or Rizzo so may as well try to keep attacking the owners. Yes I do. Look at the game used ball/bat/whatever collection and the ability to track that and you tell me that it's not possible. Lerners or the FO, whoever, find a way to dilute this whole thing by greed. Jesus christ, $100 for one of a million empty bottles? That little memorabilia shop has been a thorn with insane prices every time I pass by it, but that... Here's a nutty idea. Those of us who had 81 game season tickets through 08 and 09, whose seat went used when we set attendance lows? Howsabout a nice thank you instead of a nice f you by charging $100 for glass? Not to play devil's advocate but aren't tax writeoffs usually more profitable than direct sales? For some posters it's just about keeping up the persona.